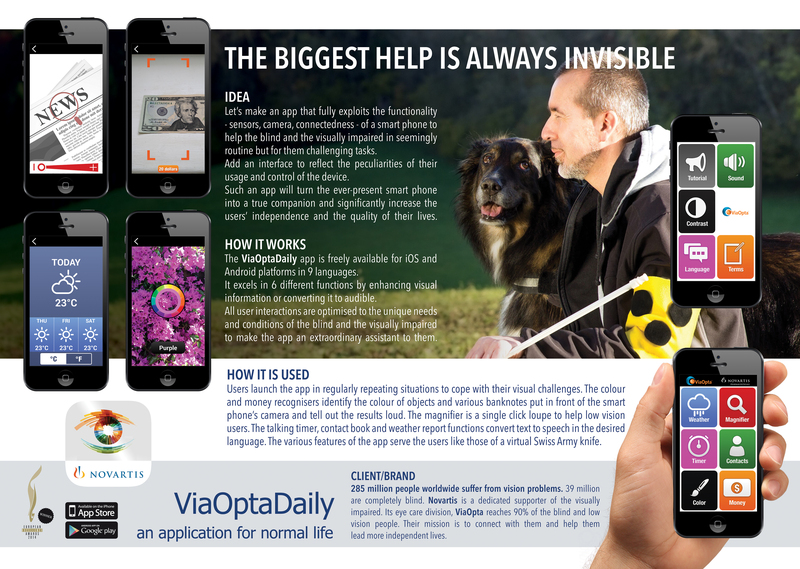 The ViaOptaDaily personal multi-function mobile app project was launched by Novartis in 2014. The first version was released within the year for both iOS and Android operating systems. The application excels in 6 different functions by enhancing visual information or converting it to audible. The various features of the app serve the users like those of a virtual Swiss Army knife. The colour and money recognisers identify the colour of objects and various banknotes put in front of the smart phone’s camera and tell out the result loud. 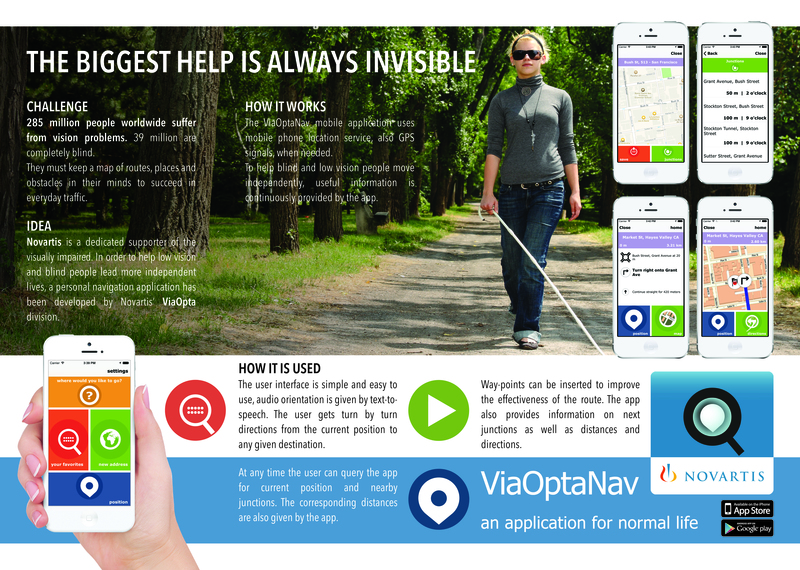 The magnifier is a single click loupe to help low vision users. The talking timer, contact book and weather report functions convert text to speech in the desired language.